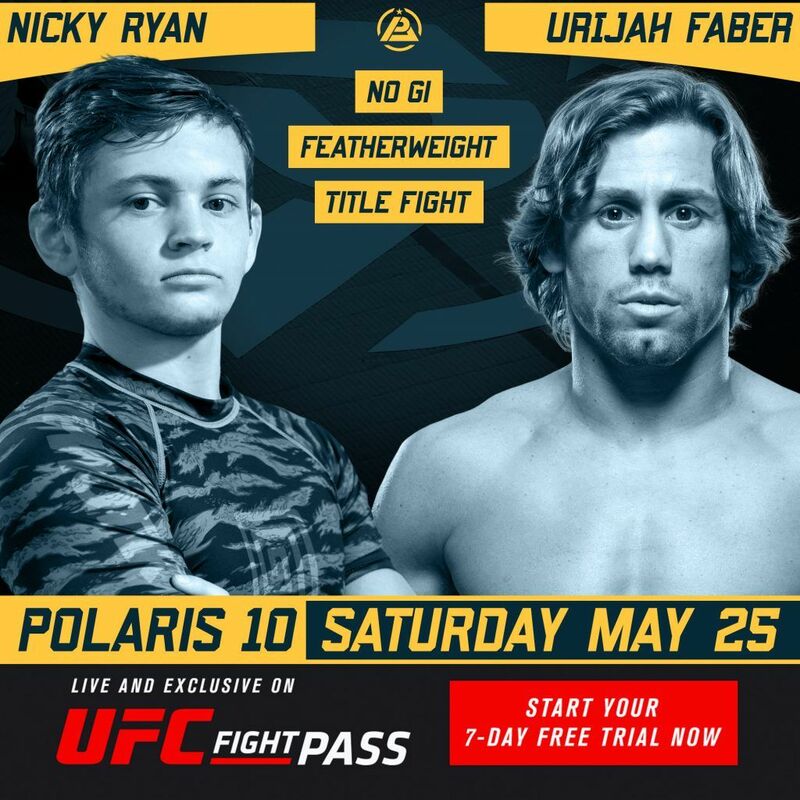 We are very pleased to confirm that Nicky Ryan will face off against UFC Hall of gamer Urijah Faber at Polaris 10 in his first featherweight title defence. Nicky is on a quest to become the best grappler on the planet, but the team alpha male founder has other ideas. Having faced some of the best combat sport athletes in the world, Faber will proved to be Ryans toughest match up yet. Polaris 10 takes place on Saturday 25th of May at The Lighthouse in Poole, a smaller but much more intimate venue. Tickets are selling going fast, so please get them before they sell out to avoid disappointment.